Also known as Cane and Scroll. 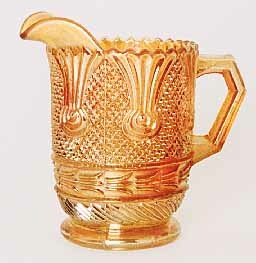 This marigold creamer sold for $40 in 2001; another one in 2011 brought $60. A marigold rosebowl sold in 2008 for $45.